YEREVAN–On January 16–the ARF Bureau released a statement in response to recent calls for dialogue and normalization of relations between Armenia and Turkey. The statement finds the preconditions being placed on Armenia by the Turkish government inadmissible. Concessions on the recognition of the Genocide and the status of Artsakh are not to be compromised–reads the statement. The ARF does not reject open dialogue between the neighboring countries as long as Turkish intentions are genuine and not led by their desire to put an end to the Armenian government’s policy of having the Genocide recognized by the international community. Turkey’ s aspirations toward joining the European Union should also not be a factor in their desire to normalize relations with Armenia. 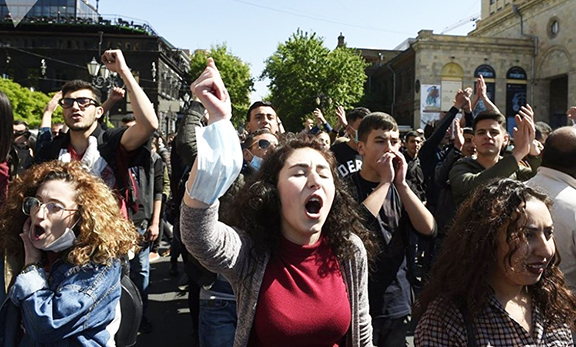 The statement urges the Armenian government to maintain its current policy of working toward recognition of the Genocide–and warns of hidden Turkish motives. The interests of the Diaspora are also taken into account. Turkey’s role in the Karabakh peace process is rejected in the statement since Turkey cannot and will not be considered a neutral official party to the conflict..